State Awards Licenses to Hamilton Center, Inc.
On Wednesday January 23rd, at Hamilton Center, Inc. in Terre Haute, IN, CEO Melvin L Burks was joined by Kevin Moore, Director of the Department of Mental Health and Addictions (DMHA), to announce the State of Indiana has awarded Hamilton Center two additional licenses to open opioid treatment programs (OTP) in both Hendricks and Knox Counties. These programs are the first of their kind in their areas, and will offer medical and behavioral interventions to those with opioid use disorder (OUD). Community members and local media from Hendricks, Knox, and Vigo Counties attended the event. The new clinics will be modeled after Western Indiana Recovery Services, an opioid treatment program of Hamilton Center that opened in May of 2018, located in Vigo County. 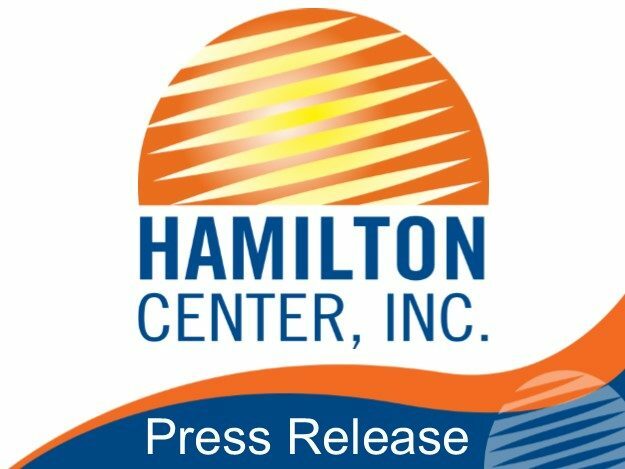 Hamilton Center applied for both licenses in August of 2018 and was notified in November of 2018 of their selection by the state. These clinics will open on or before December 31st of 2019 offering medication assisted treatment (MAT) in the form of methadone, group and individual therapy, and case management services. Locations have not yet been identified, however referring organizations have been contacted for feedback and recommendations. Once a site has been selected, Hamilton Center will begin the rigorous process of achieving certification through various state and federal agencies including the State of Indiana, the Drug Enforcement Administration (DEA), The Substance Abuse and Mental Health Services Administration (SAMHSA), and The Joint Commission (TJC). Hamilton Center partnered with Sagamore Medical Recovery Services to open Western Indiana Recovery Services in 2018, the first OTP of its kind in Vigo County. The program delivers daily medical and behavioral interventions to those with opioid use disorder. Sagamore physicians and medical staff deliver medical services which include medication assisted treatment in the form of methadone, while Hamilton Center delivers behavioral interventions, including group and individual therapy, and case management. Medication assisted treatment is associated with a decrease in the spread of HIV/AIDS and Hepatitis C, a decrease in criminality, and an increase in employability and overall functioning. Opioids are a class of drugs that work to block pain receptors giving the user a feeling of calmness and happiness. Use of prescribed and illegal forms of opioids can lead to opioid dependency and opioid use disorder (OUD) after just a few days of regular use. Consequently opioid overdoses are a growing trend in the United States. The National Institute on Drug Abuse (NIDA) found that more than 130 people die every day from an opioid overdose, while the National Safety Council found opioid overdose deaths to be more common than deaths involving motor vehicles. Furthermore, the cost of prescription opioid abuse alone is over $78.5 billion in the US annually, which has led to increased health care costs across the country. Indiana has had its own unique struggle with opioids. With roughly 1,138 opioid related overdose deaths in 2017 alone, as reported by the Indiana State Department of Health (ISDOH), Indiana Business Review reports an estimated cost of economic damages related to the opioid epidemic to be $43.3 billion dollars from 2003 through 2017. Hamilton Center, Inc. is a regional behavioral health system in Central and West Central Indiana. Services are provided to children, adolescents and adults, with specialized programs for expectant mothers, infants, and people with drug and alcohol problems. Counseling services are provided for people who may be struggling with stress, life changes, or relationship issues as well as more serious problems such as depression, anxiety disorders, and serious mental illnesses.